The RCIA is a way for non-Catholics to explore the Catholic faith and for Catholics to learn more about their faith by sponsoring an inquirer. The process begins in the early Fall and continues through the Easter season. 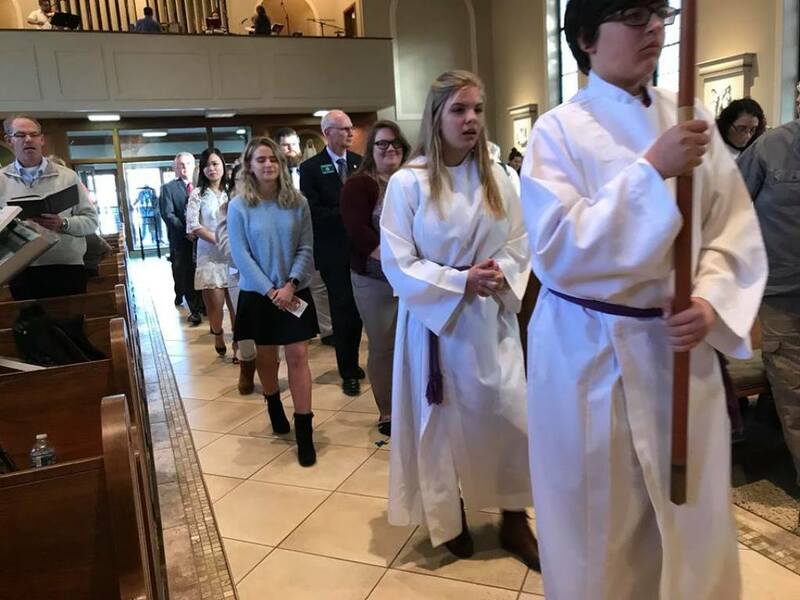 As participants deepen their understanding of the faith, they progress through the program with classes, retreats, and initiation rites, with the Sacraments of Initiation being celebrated at the Easter Vigil. Each inquirer is matched with a sponsor from the parish who walks this faith journey with them through prayer, conversation, and support. Sponsors must be in good standing with the Church. The 2018-19 RCIA classes will begin on Tuesday, September 11th in the Knights of Columbus room of the Parish Life Center. The classes are held each Tuesday from 6:30-8:30pm. For more information, please contact Mandi Pitt-Reed at 615-298-1782 or mandi@stannnash.org. Discerning whether RCIA is right for you? View our informational brochure to learn more.